SmartRub developed in collaboration with Muck Boot! Cleans and supplies all natural rubber items. The unique formula draws in the material and makes the weather soft and supple. Clean the boots with water and possibly soft soap. 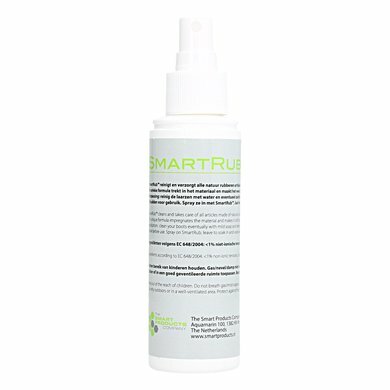 Spray with SmartRub, pull it in and wipe the excess road with a soft clean cloth. 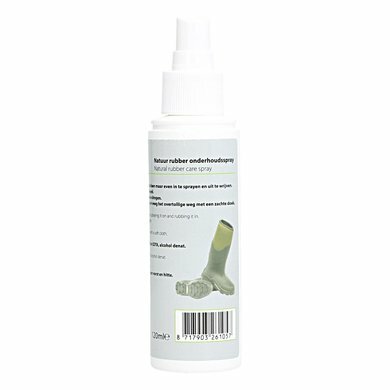 Delicious stuff for your muckboots makes your boot perfectly clean again. Handy in use, unfortunately the shoes themselves have not gone that long. Once you put them on you feel how warm they are and the footbed is great. I have had warm and dry feet all winter. They stay nice and smooth with the smartrub. The only downside I can think of is that they are quite heavy.